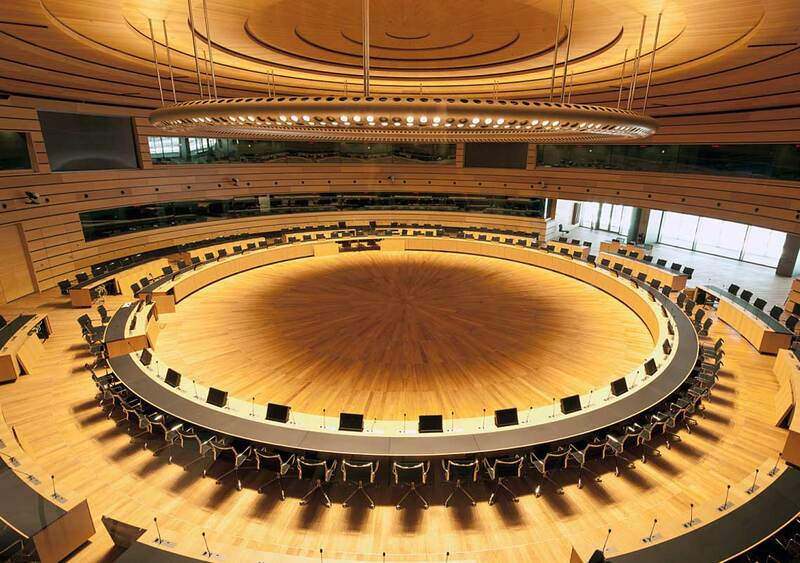 In the prestigious hall of the European Convention Center in Luxembourg, the Council of Ministers of the European Union meets several times a year. The lighting solution with ERCO directional spotlights and separate emergency lighting is installed in a suspended ring structure. The special mounting situation with direct and indirect light components can be switched and dimmed in programmed scenes according to the situation. For all new buildings in Times Square, local regulations stipulate facade lighting that corresponds to this special location in terms of brightness, colour and dynamics. 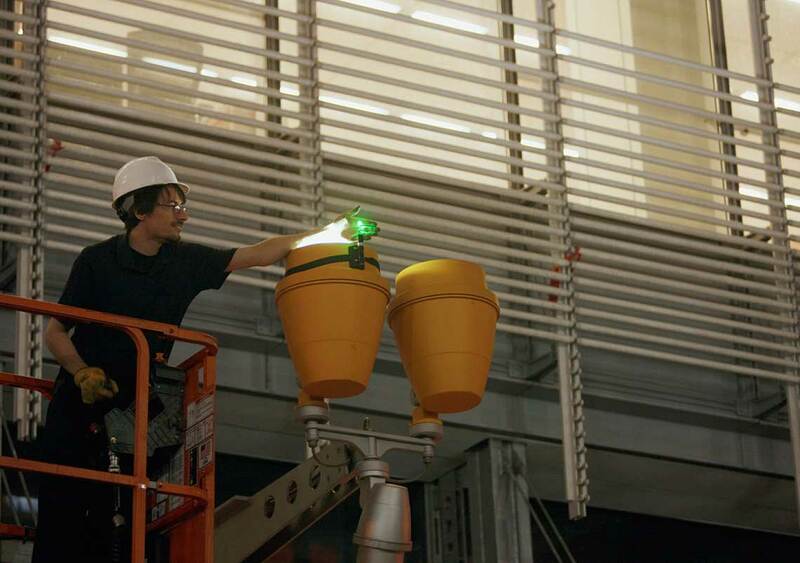 The lighting technology of the spotlights was perfectly suited for the extremely high facades of the New York Times building. At the request of the lighting design office OVI, the ERCO luminaires mounted in pairs on the base storey were coated in the special colour "New York Taxi Yellow". Talk with us today about an abundance of ERCO options: contact us.